Project Size: 101,895 sq. ft. 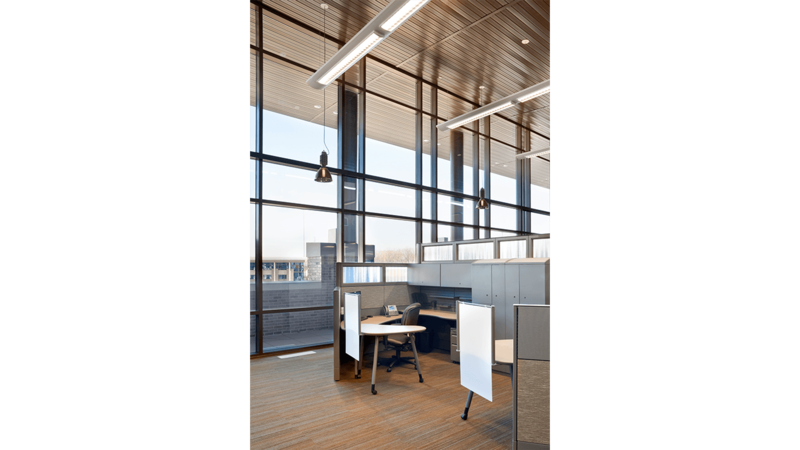 The South Patrol campus represents a leap forward in the design of Kansas City’s public safety facilities. 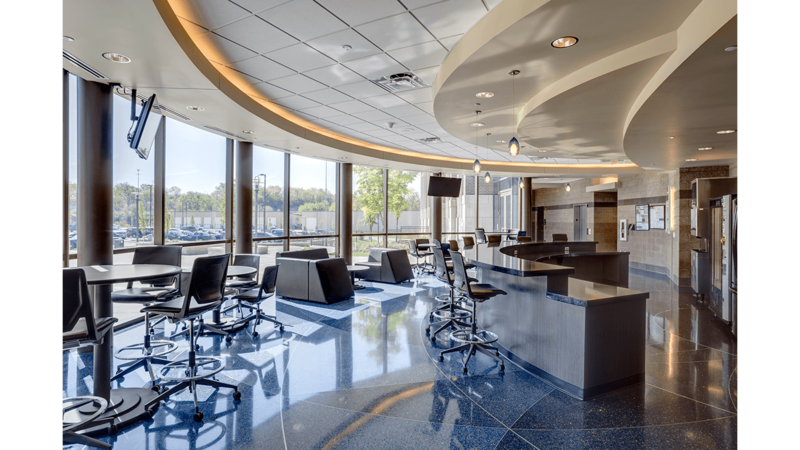 By combining several major elements of the police department’s administration and emergency response, the design team created a versatile, flexible and efficient facility that supports collaboration within the department. 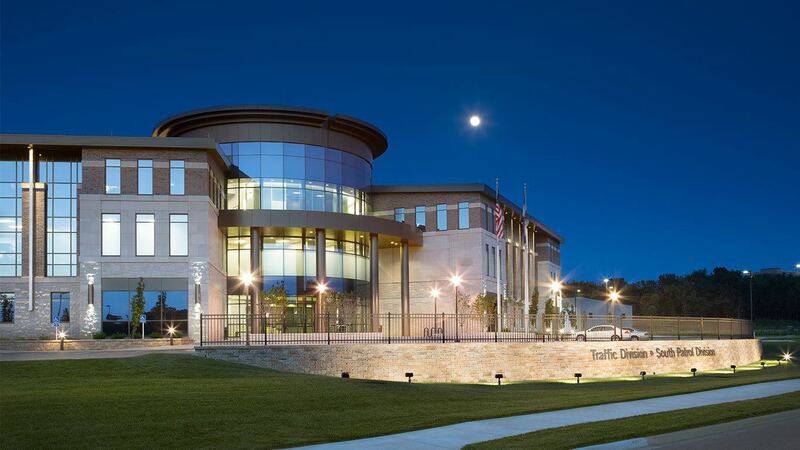 The new police station has a highly visible presence in the community. 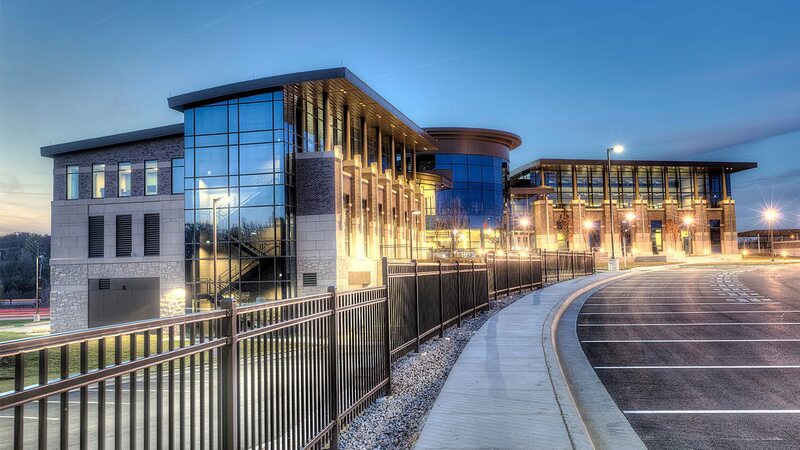 The campus houses the Kansas City Police Department South Patrol and Special Operations Divisions and includes their division patrol, administrative, bomb, arson, canine, traffic enforcement, investigations, and motorcycle units. 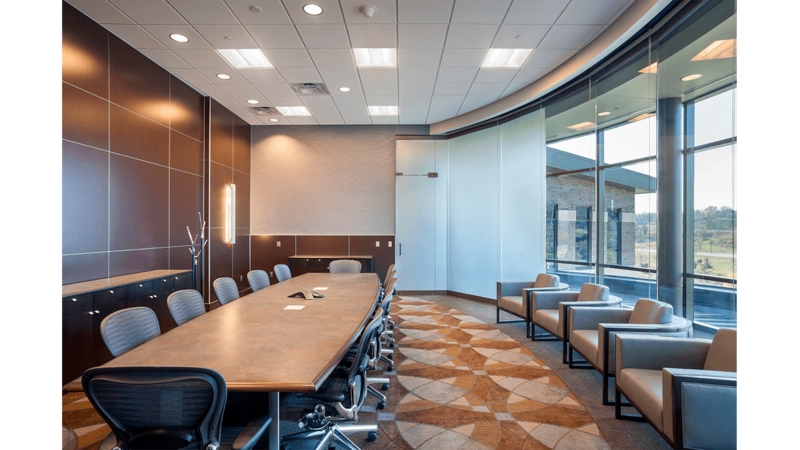 Combining multiple departments into a single campus saved money on land acquisition and construction while dramatically increasing the ability to share training and storage facilities. A 29,000-sq. 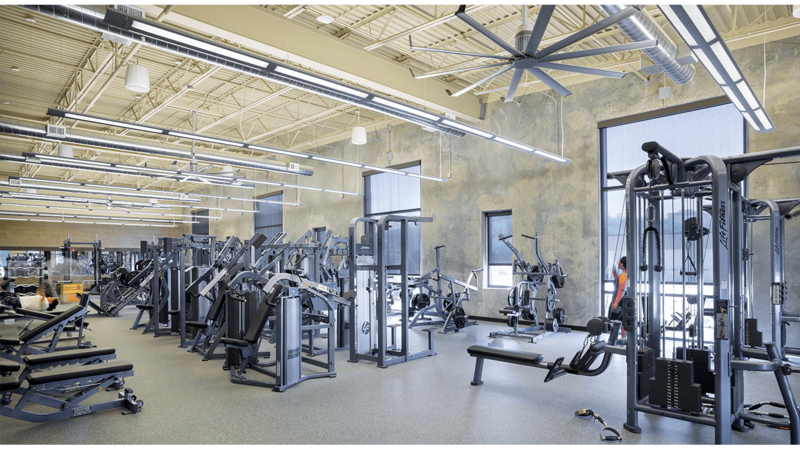 ft. multipurpose facility has additional specialty office space and a workout and training facility and doubles as a public shelter. Several small buildings, including a kennel, large vehicle and motorcycle storage buildings, and a fuel dispensing station round out the campus. 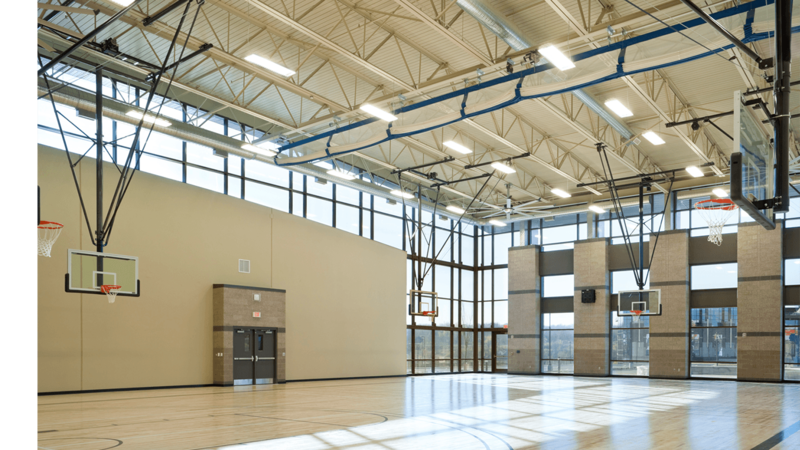 This facility was designed to obtain a LEED Gold designation, accomplished by meeting pollution control and clean air criteria, and employing creative stormwater control and energy-saving strategies that include a geothermal heating and cooling system.